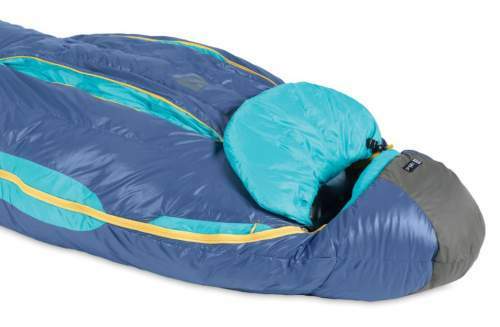 NEMO Ramsey 30-Degree Down Mummy Sleeping Bag is a quality product for a 3-season use with several specific features like vents, chest blanket, and waterproof foot box. NEMO Ramsey 30-Degree Down Mummy Sleeping Bag. 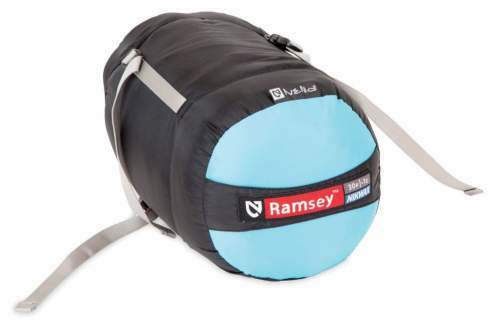 The Ramsey 30 is a part of the series which includes also a 15-degree bag, this is a mummy style bag built in two sizes R and L (see specifications below). The bag comes with several interesting features mentioned above that set it apart. This is a 3-season sleeping bag with the official temperature rating of 30 F(-1 C), but as usual, this value is somewhere in the middle between comfort and extreme. It is, therefore, better to add some 10 degrees or so, and I would say this is a bag for a warmer weather. The bag is with a down-insulated draft tube along the zipper. The hood is with the same fill and you have a drawcord adjustability around the face to prevent drafts. It comes with compression stuff sack and a cotton storage bag to use uncompressed at home for a longer storage. I already mentioned its temperature rating but see also its weight 2 lb 1 oz (0.935 g) and the packed size of 12 x 8.5 inches (30 x 22 cm). This is a tapered mummy cut and this is partly behind its weight and good packed size. The carry bag is with straps (see the picture below) so you can compress it a lot; the official compressed volume is 3.76 l. So it is lightweight enough even for hikers and backpackers. But there are lighter options, you will see one in the comparison table below. NEMO Ramsey 30 bag packed. Size-wise, you have two lengths, the R size fits people of up to 6 ft (183 cm), and the L size is for people of up 6 ft 6 in (198 cm). There are some differences in the weight of the two sizes, of course, see below in the specifications. You have a treated water-resistant down insulation, this is 650-fill Nikwax Hydrophobic down that remains dry longer and it dries faster if it should become wet, as compared with a non-treated down. They also claim that it maintains its thermal efficiency even if it becomes wet. The bag is so nicely compressible mainly because of such a fill. The shell is a lightweight 30D nylon ripstop DWR and the foot section is waterproof 40D nylon ripstop, this is to prevent the bag of getting wet if you press it to the tent’s wall. The liner is a soft and pleasant 30D nylon ripstop with DWR. If you are puzzled with this term, just to know that these are two small zipped vents on the chest section, see the picture below, so you can regulate the body heat and vent the bag to remain comfortable without unzipping its main zipper which is on the left side. Blanket Fold and Thermo Gills. This is a down-filled piece which comes under your chin, it is shown above. So you can keep it inside and around the face to keep the warmth or push outside when you feel warm enough. Type: mummy style 3-season bag. Best use: camping, hiking, backpacking. Two sizes: R & L.
– R: 2 lb 1 oz (0.935 g). – L: 2 lb 4 oz (1.02 kg). Insulation: 650 Nikwax Hydrophobic Down. Temperature rating: 30 F (-1 C). Packed size R (L x D): 12 x 8.5 in (30 x 22 cm). – R: 6 ft (183 cm). 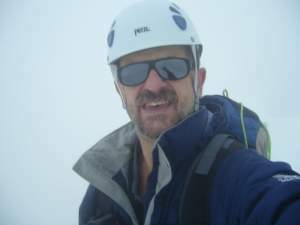 – L: 6 ft 6 in (198 cm). Shoulder girth R: 61 in (155 cm). Hip girth R: 57 in (145 cm). Knee girth R: 53 in (135 cm). Shoulder girth L: 65 in (165 cm). Hip girth L: 61 in (155 cm). Knee girth L: 56 in (142 cm). I hope this comparison table may help you in making an informed choice, the three bags are with a similar temperature rating but you see the differences in the weight. The prices are also very different, they cost respectively, $240, 89, and 183, so it makes sense to check closer, so please follow the links to see more. Nemo Ramsey 30-Degree Down Mummy Sleeping Bag is pricey but this is also a quality product with several special and useful features. It is lightweight and it packs nicely. I have included it in my list of best 3 season sleeping bags. But if you cannot afford it, you have seen some alternatives in the comparison table above. If you need a similar bag for lower temperature, check the Ramsey 15 form the same series, and NEMO Disco 15 which is a larger bag. If you need more options, please check my page with sleeping bags. Check this Exped Versa Quilt if you need something in a completely different style. This Sierra Designs Cloud 800 is a 35-degree sleeping bag and it is much lighter. Please let us know if you have some experience with this or other NEMO sleeping bags, there is a comment box below. Thank you for reading and have a nice day.